Bloggity-Blog-Blog-Blog: Almost as Cool as Bacon-Wrapped Deep-Friend Chocolate-Covered Doublestuff Oreos on a Stick! Almost as Cool as Bacon-Wrapped Deep-Friend Chocolate-Covered Doublestuff Oreos on a Stick! 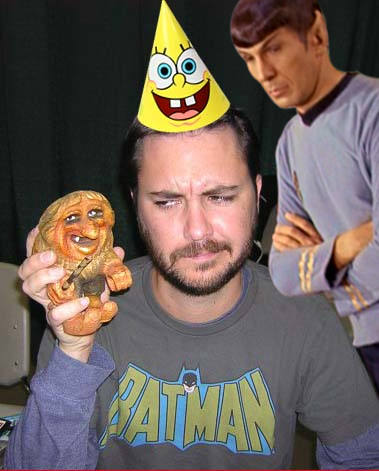 Spock is not impressed with Torvald and Wil. I'm not sure how Spongebob fits into the whole storyline. 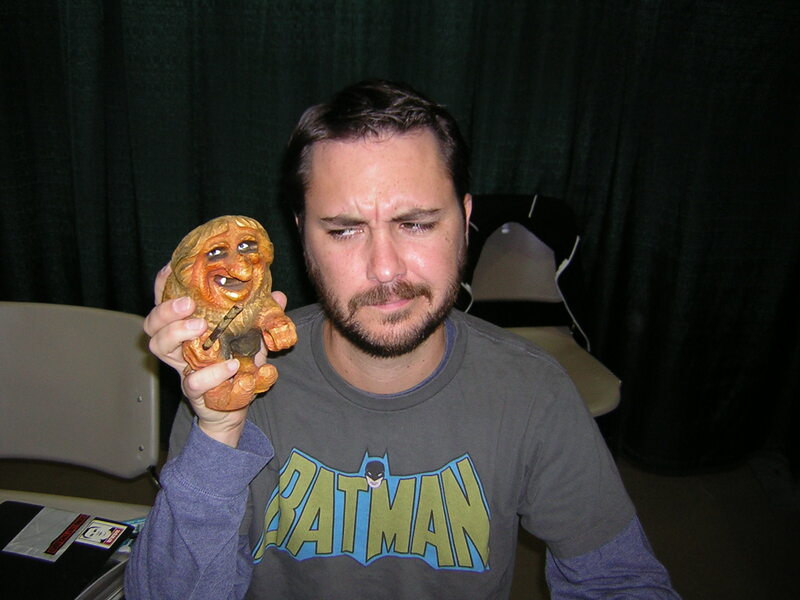 If you click the image, it'll take you to a full-sized version of the original Wil Wheaton and Torvald picture that I took at Emerald City Comicon in 2008. As for the title of this blog post, that's the new Emerald City Androgums catchphrase invented at Androcon III.